Anne and Christopher’s story is waiting for you! 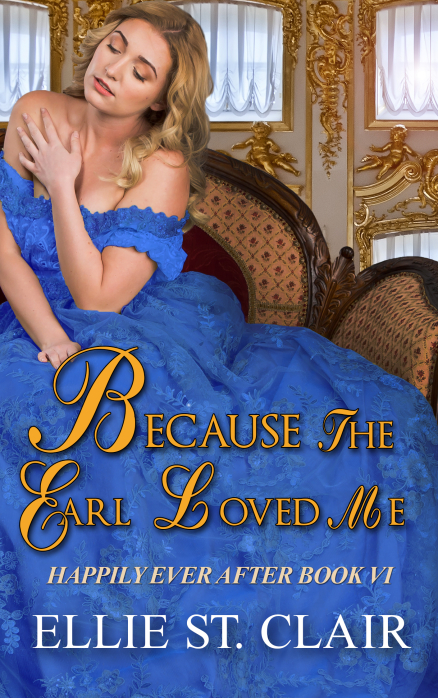 It’s release day for Because the Earl Loved Me! I’m so excited for you to read it. It is yours for only 99 cents for the next two weeks, and if you subscribe to Kindle Unlimited, you can now read for free. This story was so much fun to write. I always start with an outline, of course, but Anne’s unpredictable character took us completely off course. I wrote this book faster than any other, as I was so curious to find out what was going to happen next! I hope you enjoy this fun Regency romp! To celebrate the release, I have below for you both a giveaway as well as a flash sale with many amazing historical romance authors. Enjoy! Known by all as a beauty with a haunting, hypnotic voice, Anne Finchley has always longed for more than marriage to a nobleman. She dreams of gracing the stage as an actress, an occupation unheard of for the daughter of a duke. But a chance meeting at a country theatre changes her fate forever. The Earl of Merryweather, Christopher Anderson, pre-determines every moment of his life, carefully calculating every decision -- including marriage to the sister of the Duke of Breckenridge. When he begins his courtship, however, everything goes awry, as nothing about her fits his expectations. When Anne suffers an accident and must rely on Christopher for help, she turns his life upside down. Despite his inflexible ways, Anne finds herself falling for the man she once rejected, but now it may be too late, as the resulting scandal and upheaval may prove to be too much for Christopher to overcome. Everything is telling them they are wrong for one another -- but then why does being together feel so right? Before you head on over to check out the book on Amazon, I’ll leave you with a historical fun fact from my current work in progress. In one of my upcoming novels, our heroine has to climb up to reach the ceiling. How does she get there? Well, as it turns out, ladders are not exactly a new invention -- they were found as far back as over 10,000 years ago! In the Regency era, they would have been in homes for a few purposes. You could find bed steps where some of the nobility had beds quite high off the floor. Not very romantic, and not in every home, however. Library steps or stairs would have been the most common, in order to reach those high shelves. They were typically constructed almost like a staircase -- they didn't fold but rather had construction at the back to keep them steady. And when required, you could certainly find a ladder more typical to what we know today. Hello to all of my lovely readers! I can hardly believe it is September already! We just finished what we call our Labour Day long weekend here in Canada, and it is back to work and school for those with older kiddos. September always seems to mean back to routine, which is a blessing for many. For us, there is little change, as my son is only two and my husband is also self-employed, and I am perfectly ok with that. As for what else I have been up to … it looks like I will be able to release my next book the last week of September instead of my initially planned first week of October! I have been pushing hard to ramp things up so that my Christmas novel is available in early November, so stay tuned. We haven’t talked much about my next book. 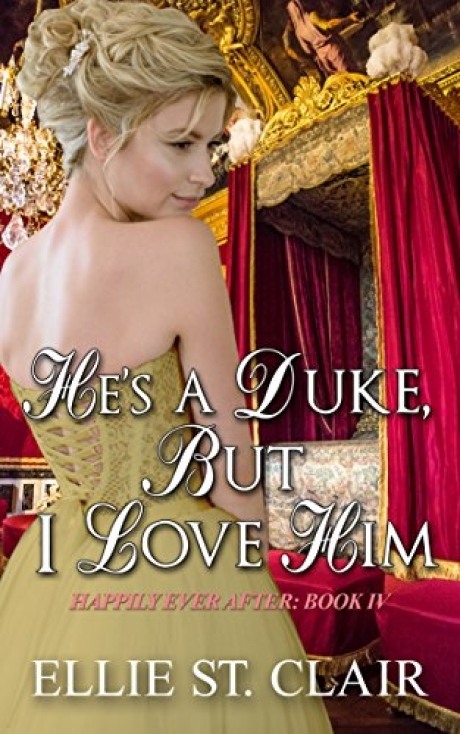 I am pleased to share with you the title -- Because the Earl Loved Me. 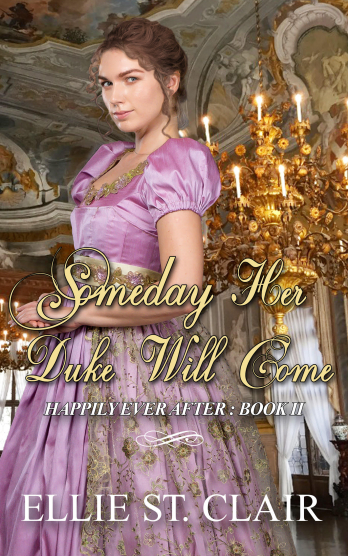 It will feature two characters you know and love -- Lord Merryweather, who has had a few cameo appearances in the Happily Ever After series, and Anne, the sister of Alastair Finchley, Duke of Breckenridge, whose story you read in He’s a Duke, But I Love Him. The first layer was a shift or chemise -- basically a white linen garment. Then came the stays or corset, which were slightly less uncomfortable than the full corset worn in other eras. Next we have the petticoat. In the Regency era, not a lot of volume was required, so usually only one was required. Garters held up cotton or silk stockings, and during the day, a chemisette or tucker filled in the bodice area. I can hardly imagine wearing so much material, especially in summer! There has been so much happening in the last couple of weeks! I had two launches (Promise of Redemption and the box set Wicked Rogue of Mine), two Facebook takeovers, and my son was home with me all day every day as we were potty training! I promise I won't get more into that, however -- that's not what you're here for. Anyway, we are back on track with our regularly scheduled content, which includes historical fun facts. I was remiss in sharing with you last week! These are from my research while writing Promise of Redemption, as you may notice if you’ve read it. Before we get to our facts, however, please make sure you scroll down to our weekly read. Of special note, S. Cinders is giving away a free audiobook copy of Made for Maddie, the first book in her series. All you have to do to enter is click on the link to her box set (no purchase necessary). One random winner will receive the audiobook. Our first historical fact is a bit depressing, but it does show how far we've come in two hundred years. In Promise of Redemption, our hero, Daniel, provides justice and shelter for women and children who are threatened, especially by their husbands or fathers. Women had nearly no legal rights in the early nineteenth century. Not only did most women marry husbands chosen by their parents, but a woman's husband took control over any income and property, and could even keep her from seeing her children if he wished. A woman had very little options for divorce, and any option was very expensive. In the mid-1800s, one woman, Caroline Norton, was the force behind significant change. When she divorced an abusive husband, he kept her from her three sons. Her story is one of significant struggle, but she helped make life better for so many women, as she was instrumental in creating laws such as the Child Custody Act of 1839, the Matrimonial Act of 1857, the Infant Custody Acts of 1873 (and 1886) and The Married Women’s Property Acts of 1870 (and 1882). By the Regency era, bookstores and lending libraries were becoming quite popular. Not only was reading one of the main entertainments of the day, but more of the population was becoming literate. 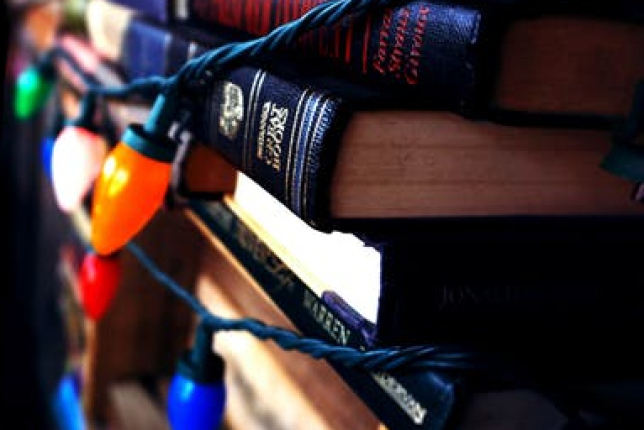 Books were relatively expensive, so only the upper classes were usually able to afford them. However, circulating libraries and subscription libraries offered fiction, newspapers, magazines, studies and more for a fee instead. Promise of Redemption is now available! TODAY is the day you can finally read the story of Daniel & Christina! I have been absolutely thrilled and humbled by reviews from my advance reader team. I’ll let you read a few, and then I'll leave you to your reading! I so hope you enjoy this story. It’s a deep one, and I hope it pulls at your heartstrings. It will be available for $0.99 for two weeks before it will go up to $2.99, and as always, is available to read free if you have Kindle Unlimited. When you’re done, if you’d like to leave a review on Amazon, Goodreads, or Bookbub, I would so appreciate it. Searching Hearts Deals & Inspirations! In the meantime ... if you haven't yet started the series, there is no better time than the present! Quest of Honor is currently FREE and will be until August 4th. Beginning August 2nd, Hope of Romance will be discounted to $0.99 for five days. I'll send a reminder when it is. In the meantime, download your copy of Quest of Honor today! If you have read the rest of the series and are getting impatient for Promise of Redemption, you can always head over to my Pinterest page to check out some of the inspirations for the story. As I’m writing I like to pin things that are either part of my research or inspiration for the characters, clothing, etc. In the meantime, if you haven’t yet, be sure to add Promise of Redemption to your Goodreads Want to Read list! In the meantime, I hope you continue to enjoy your summer. We have such cold winters here, that we truly appreciate every moment of sun. Now, onto this week’s historical fun fact -- featuring … bed time! I had a few options this week but will tell you a bit about what people wore to sleep in the Regency era. Both men and women wore a nightshirt or nightgown. For women, this typically looked like a slightly longer chemise, coming down just under the knees. Overtop, women often wore a bed jacket or other layer, if they needed to be warmer. The bed jacket was simply a loose-fitting cotton shirt. Night caps were also often worn either for warmth or to keep hair from becoming messed during sleep. Men would wear a shirt as well to bed, and around the house would add breeches and a dressing gown, or banyan, which was basically a robe they would wear around the house and with family only. 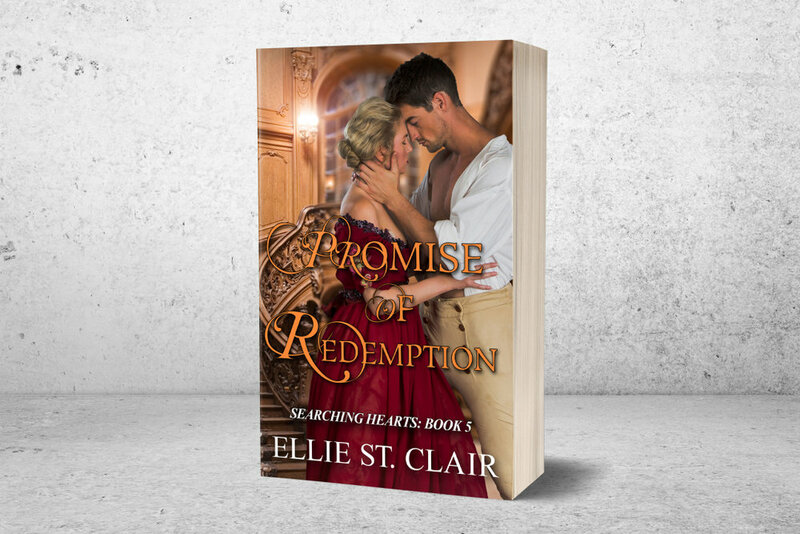 Promise of Redemption now on pre-order! Thank you so much to those of you who purchased and / or reviewed my Happily Ever Box Set last week! The price will remain at $2.99 for most of today, so be sure to buy before it goes up! So, what is to come next? So glad you asked! First of all, Promise of Redemption is now available on pre-order! Check out the link below to read more. I hope you love the cover! It is one of my favorites.